Schools. Specialist school clinics, regional coaching and instructors schools. Below is a list of our available clinics. Two day seminars covering all aspects of beginning course designing through to course designing for rallies, shows, gymkhanas and judging. One day seminars on Show riding judging for all interested Pony Club members. The clinics cover all subjects including Ring Etiquette, Stewards duties, Types of classes, Workouts based on ability and competition class, and How to decide placings. Conducted over two days for all interested Pony Club members. This seminar is suitable for people who wish to learn about showjumping judging and those people wishing to become accredited showjumping judges. The seminar will cover all aspects of showjumping judging from explanation of penalties through to rules for competitions. Conducted over two days for all interested Pony Club members. This seminar is suitable for people who wish to learn about judging and those people wishing to become accredited jumping equitation judges. The seminar will cover all aspects of judging. Check the calendar for all clinics booked. Telephone 02 4229 8977 (Tuesdays only). A refundable deposit of $550 applies as well as the applicabel fee per attendee. Individuals wishing to attend must pay the applicable fee directly to the host zone. On completion of the clinic the host zone must submit an attendance list plus the total attendee fees collected as a seperate cheque. Any cancellations must be made the last business day 4 weeks before the scheduled school date in order to receive a full refund. Any cancellations, or failure to meet minimum numbers, made after this date forfeit the deposit. 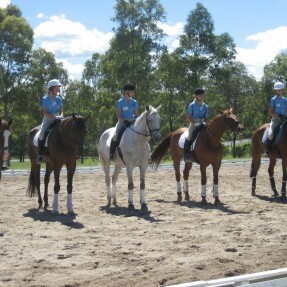 Pony Club NSW provides high level coaching to riders in each particular discipline. Riders receive instruction from the State coaches. Zones may apply to host regional schools in their area. There are two different categories. In order to book a school the ZCI must make a written application obtained from the PCANSW office and send to PO Box 2085 Wollongong NSW 2500, Fax 02 4229 8977 or email coach@pcansw.org.au. A refundable deposit of $550 applies as well as the applicable fee per rider - these should be submitted as 2 seperate cheques. 15 -18 participants are recommended (maximum of 18). Please note, only Zone Chief Instructors are authorised to book these schools. Regional Schools are available in the disciplines of Dressage, Eventing, Showjumping, Jumping Equitation and Mounted Games. These schools are conducted by the Associations State Coaches or their nominated assistants. To be eligible to attend, participants must be aged 10 years and under 25 years, have attained a ‘D’ certificate or above, have attended three rally days and be a regular pony club member. For showjumping and eventing schools, riders must be graded. Senior Regional Schools are conducted by Level 3 EA Instructors or EA National Coaches or their assistants and are for riders of above average ability in the particular discipline. Schools are available in the disciplines of Dressage, Eventing, Showjumping and Jumping Equitation. To be eligible, participants must be at least 13 years of age, have attained their ‘C’ certificate, be a regular pony club member and be recommended by their Club Senior Instructor and Zone Chief Instructor, be better than average in the particular discipline, be at least ‘C’ grade for showjumping and eventing and come mounted on a horse suitable to receive advanced instruction. Adjoining Zones can be given the opportunity to send riders. Instructors Schools are held at regular intervals at a Club and Zone level. The aim of the schools is to educate instructors and potential instructors to give them the opportunity to gain or improve their teaching skills or instruction at Pony Clubs. 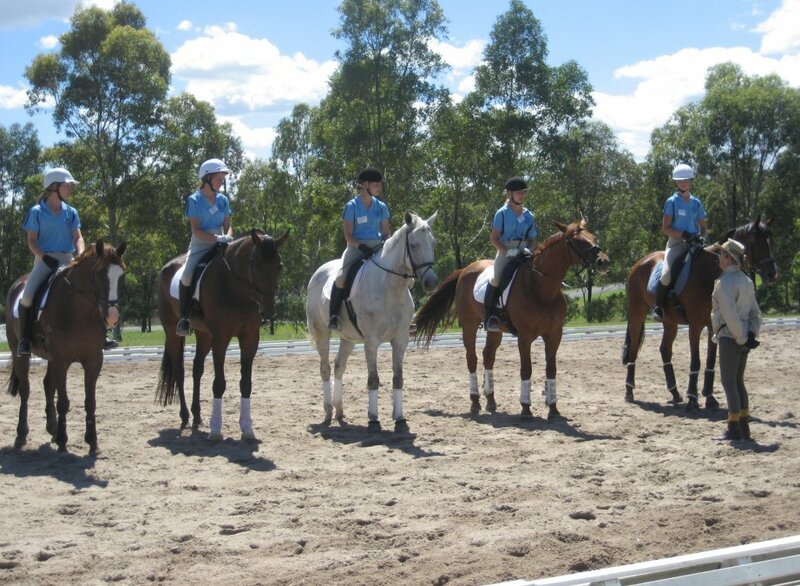 Pony Club NSW has now embraced the National Coaching Accreditation Scheme (NCAS). NCAS, an initiative of the Australian Sports Commission (ASC), is a progressive coach education program.